Are you living with damaged teeth? Over the years, it is exceptionally common for adults to experience accidents or illnesses that leave their teeth discolored, chipped, cracked, or knocked out altogether. 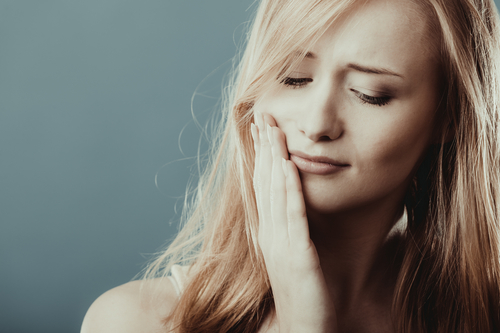 Although many of these problems might seem like simple cosmetic concerns, damaged teeth are more susceptible to tooth decay and infections that can affect the rest of your body. Although a cavity or two might not seem like an urgent problem, oral decay can quickly spiral out of control, causing infections, gum recession, and even system-wide health problems. In addition to disrupting your ability to talk and chew properly, tooth decay has been tied to serious diseases such as rheumatoid arthritis, cardiovascular problems, and even some forms of cancer. Also, since tooth fractures can expose the sensitive inner portions of teeth, research has shown that people with oral decay tend to eat less healthy diets, since cold fruits and crunchy vegetables can become more difficult to chew. Instead of eating a nice crispy apple right out of the fridge, you might opt for a bag of potato chips or a few warm doughnuts instead—a move that can also expand your waistline and leave you malnourished. "There are a wide varity of restorative dentistry procedures which can repair your teeth after an injury." To ward off these kinds of complications, the best course of action is having your damaged teeth repaired as soon as possible. Dr. Don, Dr. Mikel, and Dr. Marc Newman have spent years honing their restorative and cosmetic dentistry skills, helping patients to enjoy healthy, comfortable smiles once again. During your initial consultation to address your broken teeth, Dr. Newman will carefully evaluate your teeth, dental X-rays, and gum tissue to determine how to best restore your teeth. The goal of restorative dentistry is to restore functionality and aesthetics to the tooth, so that repairs will blend in perfectly and your tooth will be healthy and strong. Here are a few ways Dr. Newman can repair chips, cracks, and other forms of dental damage. If you have teeth that are chipped, cracked, or strangely shaped, Dr. Newman can use dental bonding to reshape the tooth. After preparing the tooth surface to improve adhesion, composite resin is molded around the tooth and cured with a UV light, cleaned, and polished. Bonding can also be used to repair surface cracks when the fracture doesn’t extend past the gum line. Because decay has to be drilled away to protect the tooth, large cavities and fillings could leave the tooth structurally weakened. However, new 3D imaging and milling technology has enabled dentists to use larger inlays and onlays that are created to fit the void perfectly. After the decay is removed and the area is measured with a 3D scanner, a milling machine molds a perfect inlay to fit in the area. The inlay or onlay is then cemented in place, and the tooth is polished. Veneers are extremely thin tooth-colored wafers that can be cemented to the front of teeth to improve their cosmetic appearance. Veneers made from porcelain offer the same sheen and opacity as normal teeth, creating a realistic and natural look. Veneers can be used to correct gaps, reshape teeth, or cover surface cracks. If teeth have gone through multiple repairs, they might need a crown to stay strong. Dental crowns are tooth-colored caps that are cemented over the natural tooth, protecting the interior of the tooth and the natural root. Crowns can either be used to completely transform the look of the tooth or blend in perfectly with the existing teeth. When fractures or advanced decay extend throughout the entire tooth, it might need to be extracted in order to protect the patient’s health. If this is the case for you, dental implants can be placed at a future date to restore your smile. The only way to tell which restorations are right for you is to schedule an appointment for a consultation. During your appointment, talk with Dr. Newman about your dental goals, and we’ll help you decide which restoration would work best for your lifestyle.